This week, we closed our eyes, smelled some art, listened to the past and took a blind leap into a future of robots and aliens. Who has a “right” to the city in which they live? Is it homeowners? Voters? Business owners and developers? 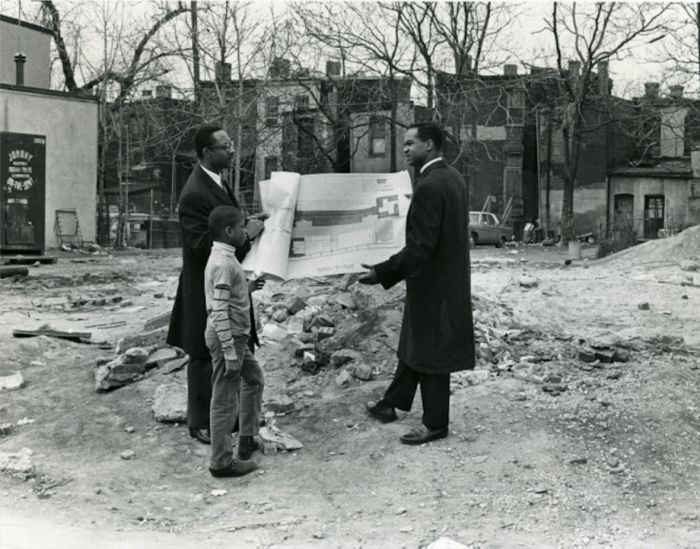 The new exhibit from the Smithsonian Anacostia Community Museum doesn’t answer that question but it does give insights into how D.C. residents have engaged with and altered their city throughout history. Read more from Rachel Kaufman for New City. The Cooper Hewitt, Smithsonian Design Museum in New York will be hosting an exhibition of work titled “Saturated: The Allure and Science of Color.” The show runs through January 2019. 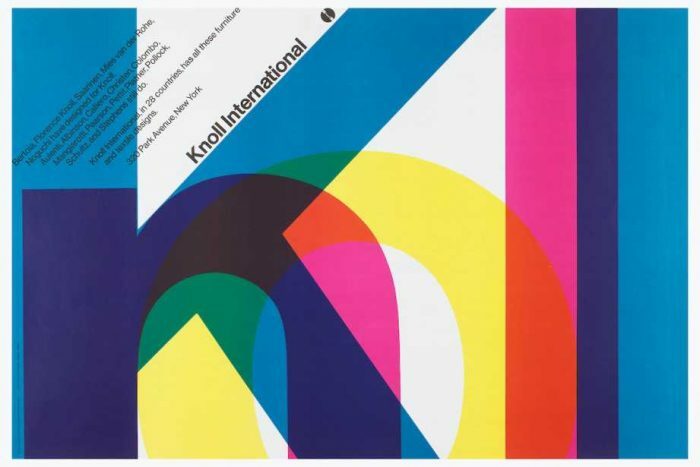 The exhibition explores the complex phenomenon of color perception and how it has captivated artists, designers, scientists, and philosophers. On display are over 190 objects from antiquity to the present day. The show explores how designers apply the theories of color thinkers to both balance and excite our visual medium. “Saturated: The Allure and Science of Color” is organized in seven sections such as Capturing Color, Color Optics, Creating Colors, Navigating Color, Color and Form, Color Collaboration, and Consumer Choice. Read more from BlouinArtInfo. Scientists are hoping to create a modern-day Noah’s ark that could ‘revolutionise our understanding of evolution’. A group of 24 international scientists want to collect and store the genetic codes of all 1.5 million known plants, animals and fungi over the next decade. The resulting library of life could be used by scientists to find out more about the evolution of species and how to improve our environment. 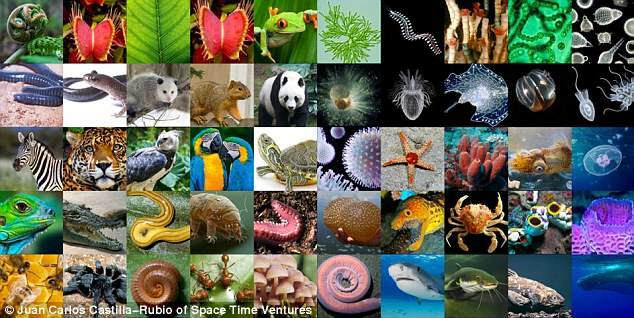 The £3.4 billion ($4.7bn) project is being described as the ‘most ambitious project in the history of modern biology’. Read more from Phoebe Weston fro Daily Mail Online. 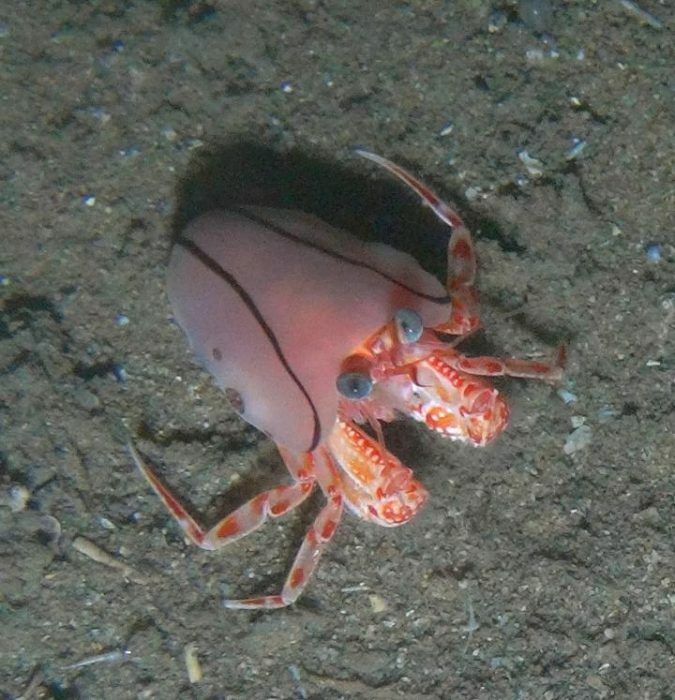 Among the numerous specimens collected during the famous HMS Challenger Expedition in 1874, there were two hermit crab specimens obtained from the Philippines. They amazed Henderson with their unusual physical characters, including an abdomen bent on itself rather than spirally curved, and the lack of any trace of either a shell or other kind of protective structure for their body. Read more from Science Magazine. Ever wondered how Schubert’s music sounded in his time? On Sunday, audience members at the last performance of the Yale Collection of Musical Instruments concert series got a rare glimpse into Schubert’s 19th-century soundscape. Amid harpsichords and pianofortes, the listeners enjoyed a rendition of three Schubert pieces performed by Smithsonian Chamber Players, who used a mix of historical instruments and replicas. Read more from Le Vi Pham for Yale News. Cherokee Nation recently opened a new exhibit at the Smithsonian’s National Museum of the American Indian in Washington, D.C., in conjunction with the annual Cherokee Days festival. 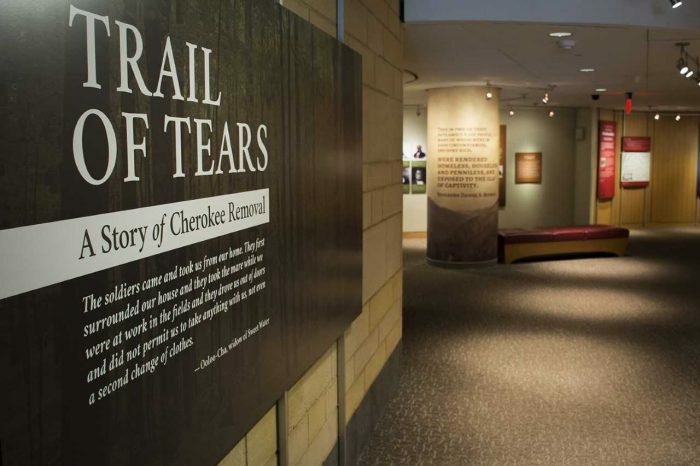 “A Story of Cherokee Removal” shares the story of removal on the infamous Trail of Tears from the Cherokee perspective and addresses the devastating costs of greed and oppression. It also shows how the tribe persevered, adapted and learned to thrive. Read more from Native News Online. Janelle Monáe just released the tracklist for her upcoming album “Dirty Computer,” and it includes an ode to the National Museum of African American History and Culture. The singer/actress wrote that the ninth track, titled “I Got the Juice,” was inspired by the “glistening Mothership hanging on the top floor” of the building. Read more from Sarah Polus for The Washington Post’s Reliable Source. 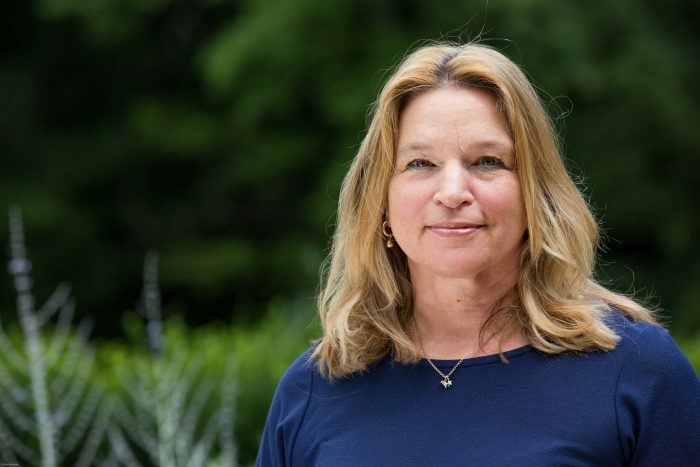 Q&A: Ex-NASA chief scientist Ellen Stofan, who’ll be the first woman to run the National Air and Space Museum, also discusses rockets, Mars and discrimination. Ellen Stofan’s career reads like a lifelong date with destiny. Her mother was a science teacher and her father a NASA rocket scientist. Growing up, she witnessed fiery rocket launches and fell in love with geology while on a field trip with her mom. Put the two together, and you get a planetary geologist. Finding her life’s passion was just the beginning for Stofan, who went on to work on NASA’s Magellan mission to Venus, the Saturn-studying Cassini mission and a proposed project to send a floating lander to Saturn’s fascinating moon Titan. Stofan served as NASA’s chief scientist from 2013 to 2016. Read more from Amanda Kooser for C-NET. A wall wrapped in plush obsidian-black fur, scratch-and-sniff wallpaper perfumed with cherry, a minimalist color-coded bathroom, a speaker that’s a dead ringer for a satellite dish —these aren’t novelty design. They’re hints to the house of the future, which is all about multi-sensory experiences. The Senses: Design Beyond Vision, a new exhibition at the Cooper Hewitt design museum in New York City, is a survey of sensory design, or design that appeals to all of our senses: touch, smell, sound, taste, and vision. While most of the world is designed for sight, this exhibition acknowledges that humans process the world using multiple senses. The Senses invites museum-goers to run wild and explore using all of them.Read more from Diana Budds for Curbed. On a gorgeous sunny April day, crowds gathered at the Renwick Gallery, home to exhibits of the Smithsonian’s American Art Museum. The current exhibit, which opened a few weeks ago and consumes the gallery’s entire floor space, focuses on the art of the Burning Man festival held annually in the Nevada desert. Judging from the throngs in attendance—the line to get into the building snaked all the way across Pennsylvania Avenue—the Renwick has a hit on its hands. It appeared to approach the popularity of the “Wonder” exhibit the Renwick hosted nearly three years ago. Coming as the gallery reopened after a multi-year renovation, that exhibit turned a relatively quiet artistic outpost that tourists stumble upon while walking by the White House into a destination visited by nearly three-quarter million locals and tourists.Read more from Christopher Jacobs for The Federalist. The 13,000-pound male elephant who traveled 900 miles to his new home at D.C.’s National Zoo made his public debut Friday. Spike, a 36-year-old Asian elephant, relocated from Tampa Bay last month and has been off-exhibit in quarantine since his arrival. On Friday, he celebrated his debut by munching on an elephant-friendly frozen treat made of frozen banana tree trunk and filled with carrots, pineapple, mango, papaya and sugar cane. If you can’t make to the zoo, you can catch a glimpse of Spike on the zoo’s live camera. Read more from Sarah Cammarata for NBC4. The Smithsonian is the first museum complex to integrate the interactive androids. The next time you visit a Smithsonian museum, the first greeting you get may come from a gleaming, four-foot-tall android extending their hand. This would be Pepper, one of 25 humanoid robots that were introduced two days ago to six Smithsonian spaces, from the Hirshhorn Museum to the National Museum of African American History and Culture. Donated by their engineers at Softbank Robotics, the platoon of Peppers is intended to enhance the visitor experience and ensure that daily operations run smoothly. Read more from Claire Voon for Hyperallergic. This robot can answer your questions about the art and pose for selfies. Museums must compete harder than ever to attract attention in our smartphone-dazed world, and many are turning to technology to draw people through the door. 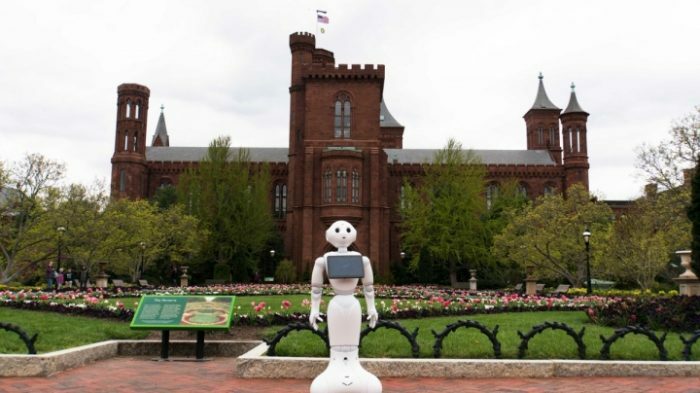 This week, the Smithsonian Institution in Washington, DC, unveiled the latest attention-getting gadget: a four-foot-tall interactive robot named Pepper. Motoring around several galleries across the Smithsonian complex, Pepper answers questions, tells stories, dances, and even poses for selfies. And so far it’s been a big hit. “Whenever we put Pepper on the floor there is a continuous stream of people around it,” says Rachel Rachel Goslins, the director of the Arts and Industries building that led the development of Pepper’s program. “It attracts a crowd, from super young kids who want to hug it to older people who use it as a tool for digging deeper into the information they’re curious about.” Read more from Taylor Dafoe for ArtNet News. 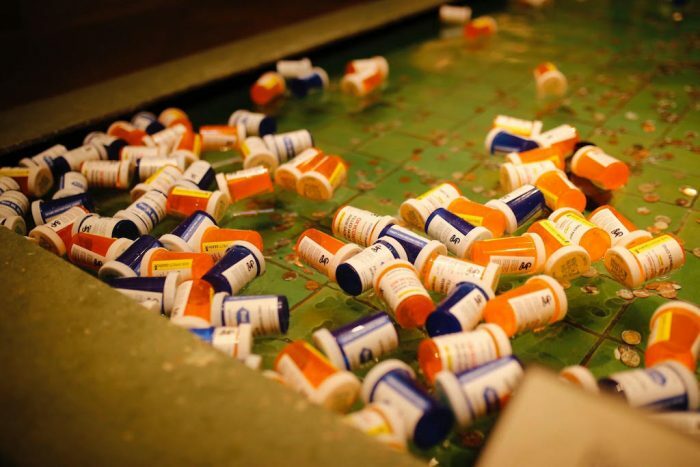 In its second big protest, after a first one at New York’s Metropolitan Museum of Art last month, P.A.I.N aimed to make members of the Sackler family direct their philanthropic energies toward ending the suffering and death that has attended the recent opioid epidemic in America. As a means to such an end, a tight-knit group of artists, recovery professionals, and harm-reduction activists staged a protest in the nation’s capital. Read more from Ana Finel Honigman for ArtNews. Chanting “Shame on Sackler” and “Sackler kills with its pills,” about 50 anti-opioid activists gathered at the Smithsonian’s Arthur M. Sackler Gallery of Art on Thursday afternoon to bring attention to what they say is the philanthropic family’s role in the nation’s opioid crisis. Led by photographer Nan Goldin and her organization Prescription Addiction Intervention Now, or PAIN, the group traveled from New York to Washington for the protest. They planned to meet legislators on Capitol Hill later in the day. “We are here to call out all of the Sacklers,” Goldin said. “The Sackler brothers built an empire of pain.” Read more from Peggy McGlone for The Washington Post.